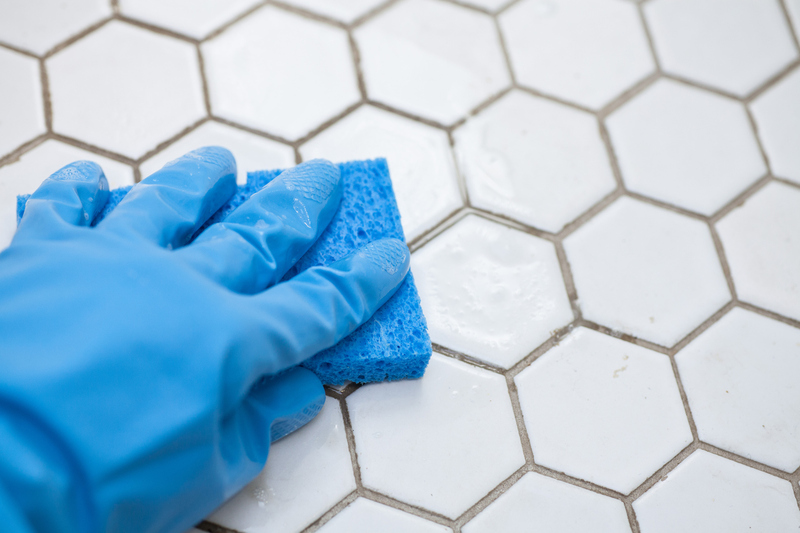 Did you know that most of the cleaners that you can purchase in the supermarket don’t really clean your tile and grout thoroughly? This is because these methods simply cannot get at the built-up dirt and grime that has settled into every nook and cranny over the years. Without professional equipment, this dirt and grime will only travel further into these natural nooks and crannies. But have no fear! We at J and R’s are here to maintain your tile and grout. We use a combination of alkaline-based chemicals to break up the soiling in your floor accompanied by an Sx-12 rotary water injection machine. This machine uses high heat water with high pressure to blast soil right out of your grout lines, and the soil that is embedded on your tile tops. The alkaline based cleaner we use is great for floor maintenance in kitchens, etc because it doesn’t have the same damaging effects that acid-based cleaners can have on your appliances etc. Alkaline-based cleaners won’t take the finish off of your appliances and acid-based cleaners would. This makes our process much faster as we don’t have to put plastic up all around your kitchen. Our system is meant for more of a maintenance than a restoration. Our alkaline based cleaner won’t strip your grout sealer but will remove any soil that isn’t sealed underneath the sealer on your grout lines. Why not call the team that has the experience to get that tile and grout looking almost new so that you can get back to loving your home the way you did when you first moved in? We will take our time to do the job right and help you gain time back in your day instead of trying to scrub your tile and grout clean on your hands and knees and using products that can damage your floors. We can’t wait to hear from you!